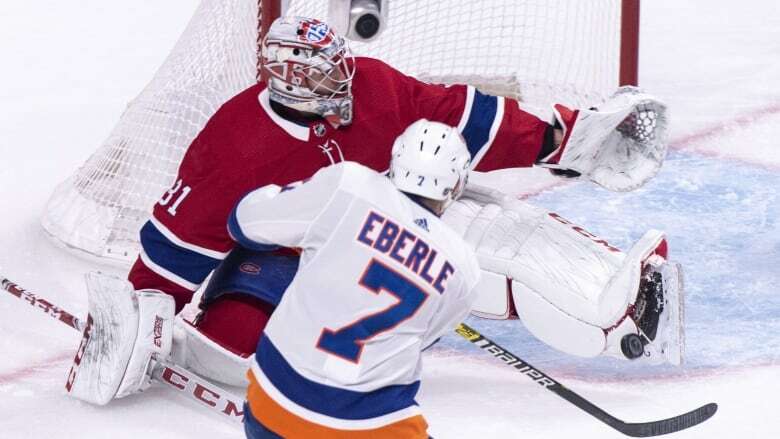 Carey Price stopped all 27 shots for his fourth shutout of the season as the Montreal Canadiens blanked the New York Islanders 4-0 on Thursday to remain in the thick of the playoff race in the Eastern Conference. Jonathan Drouin could not have picked a better time to break out of his lengthy scoring slump. 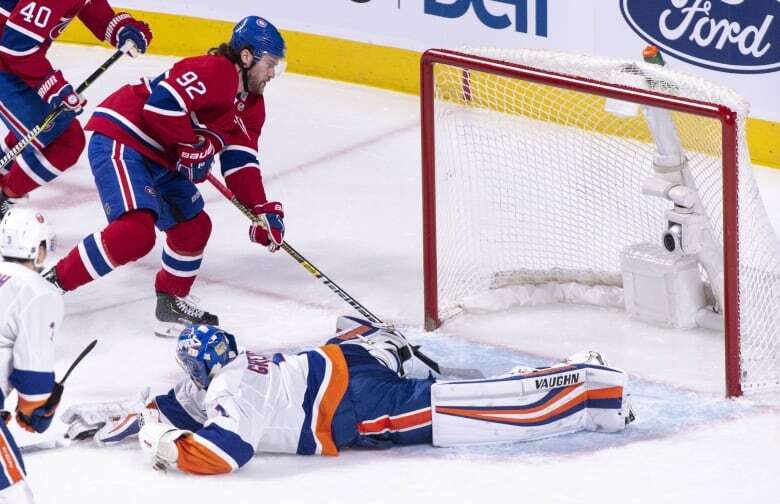 Drouin scored and added an assist and Carey Price made 28 saves as the Montreal Canadiens blanked the New York Islanders 4-0 on Thursday night to remain in the thick of the playoff race in the Eastern Conference. Drouin had not scored since Feb. 7 versus the Winnipeg Jets. "It's definitely a relief," said the winger, who did not have a point in his previous nine games. "It's something you want. But it's not something I thought about. You guys make stories more than me and you think about it more than me. I don't listen to any of that noise. For me, it's just to play hockey." The win came at the right time for the Canadiens, who are battling for a playoff spot. Montreal's win coupled with the Columbus Blue Jackets' 4-1 loss to the Edmonton Oilers later Thursday moved the Canadiens into the Eastern Conference's second wild-card spot. The Canadiens are two points behind the Carolina Hurricanes, who lost 6-3 to the Tampa Bay Lightning. The Canadiens have won two games in a row after dropping two straight. "I think we needed that for our confidence," said Drouin. "We kind of lost it over the past two weeks. Now we got our confidence back and we're not scared to make mistakes. We're playing to win. The last couple of games have been different." After a back-and-forth first period, Joel Armia gave Montreal the lead with seven seconds left in the frame when he beat Thomas Greiss five-hole from the slot on the power play. Armia had never scored a power-play goal in 228 career games coming into Thursday's contest. Montreal finished 1 for 2 with the man advantage. "A big momentum swing any time there's a goal at the end of the period," said Isles forward Anders Lee. "And then we had two power plays right before that. Those are momentum swings in their favour, the way they killed them. And then they put in the goal at the end of the period. But it's a one-goal game at that point." The Canadiens were all over the Islanders (42-25-7) to start the second period and it didn't take long for them to add to their lead. Shea Weber scored his 13th goal of the season with his signature blistering slapshot to make it 2-0 at 1:03. Jordan Eberle, who played despite dealing with an upper-body injury this week, had a chance to get the Islanders back in the game but he couldn't solve Price. The Canadiens goalie stuck out the pad and made a nice toe save to keep New York off the board. "We had some chances and we didn't bury them," said Islanders coach Barry Trotz. "There's a little bit of frustration but you need to wipe it away. Price made some timely saves. That's what great goaltenders do." The home team made Eberle pay for missing that chance on the very next shift, when Drouin completed a tic-tac-toe pass play from Armia and Jesperi Kotkaniemi at 6:00 to snap his 17-game goalless drought. 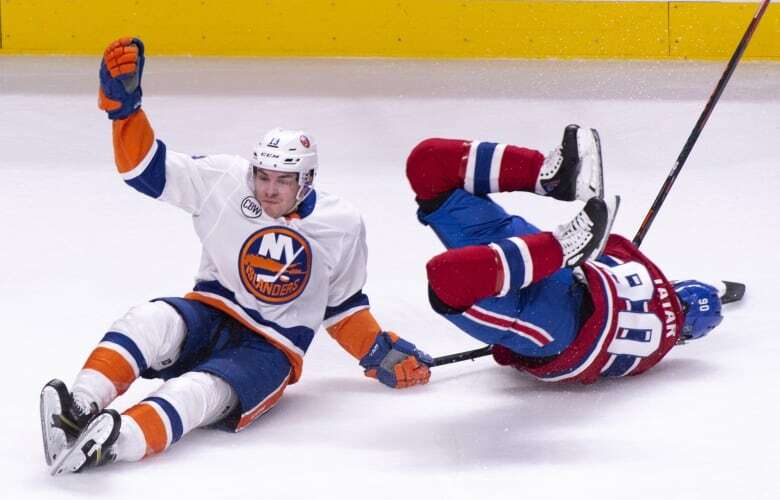 "He was frustrated because he wasn't scoring," said coach Claude Julien of Drouin. "If this allows him to get his swagger back, good for him because it's the perfect time." Jordan Weal added a fourth for Montreal at 8:19 when he tipped Jordie Benn's shot past Greiss, who gave up four goals on 22 shots. Robin Lehner stopped all 12 shots he faced in relief. "We're playing as a pretty good group and we're using our assets like we should be," said Price, who now has 44 career shutouts. "If we keep doing that, I'm pretty sure we're going to be successful for the rest of the season. We're a tough team to play against when we play like that."